Don&apos;t miss anything that Wilmington and the Brandywine Valley have to offer. 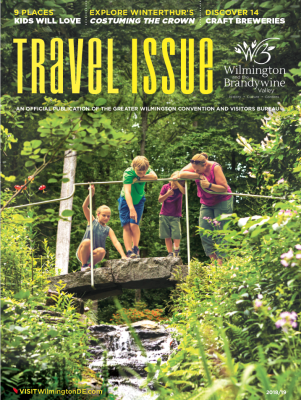 Our annual Visitors Guide, titled the Travel Issue, is full of information about the local attractions, restaurants, events, and hotels that define the Brandywine Valley region.It&apos;s a roadmap to the best we have to offer, and it&apos;s totally free. Prefer to Read it Now?